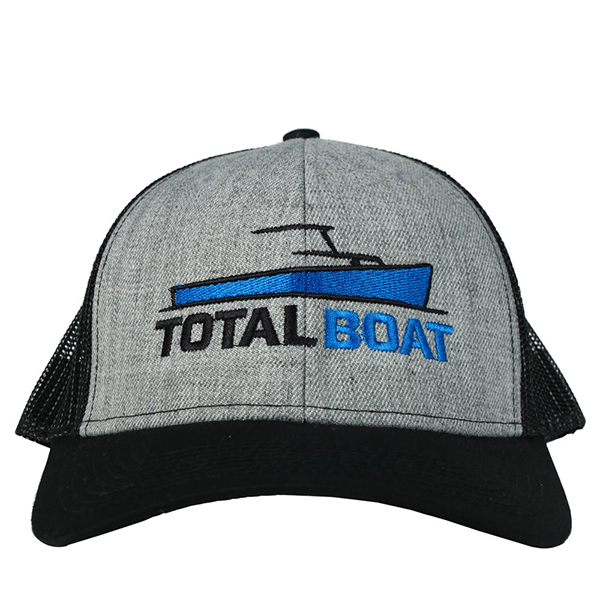 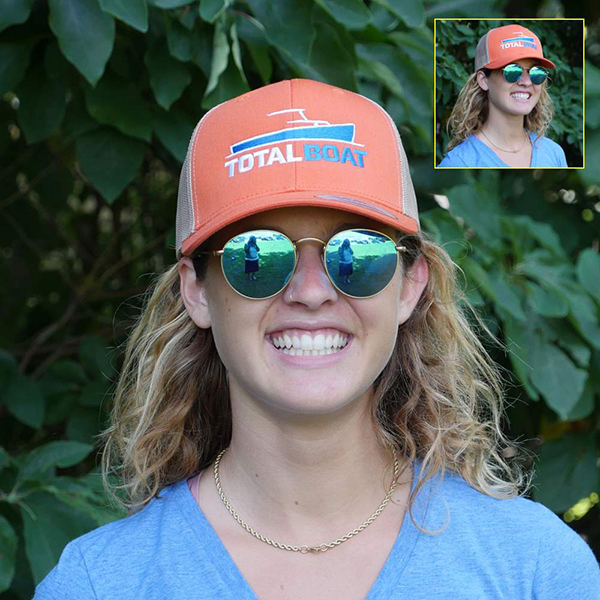 Retro trucker cap with airy polyester mesh back features a large TotalBoat logo in high-quality raised embroidery across the front, and an adjustable tab closure in the back so one size fits all. 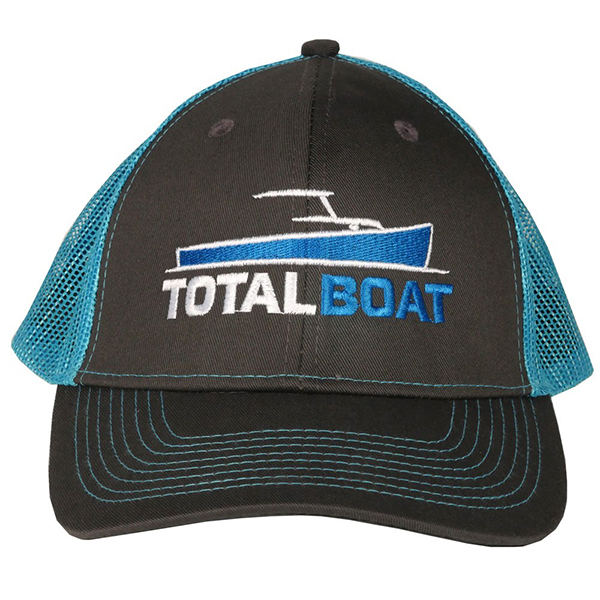 Choose from 7 designs and colors. 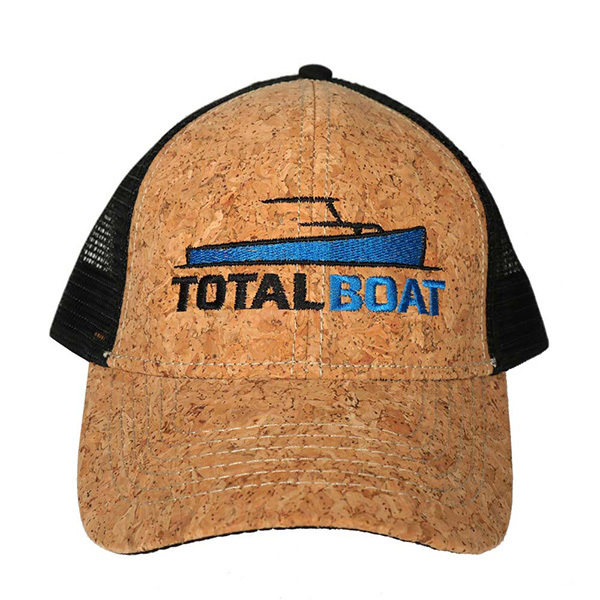 Cork cap floats if it falls in the water! 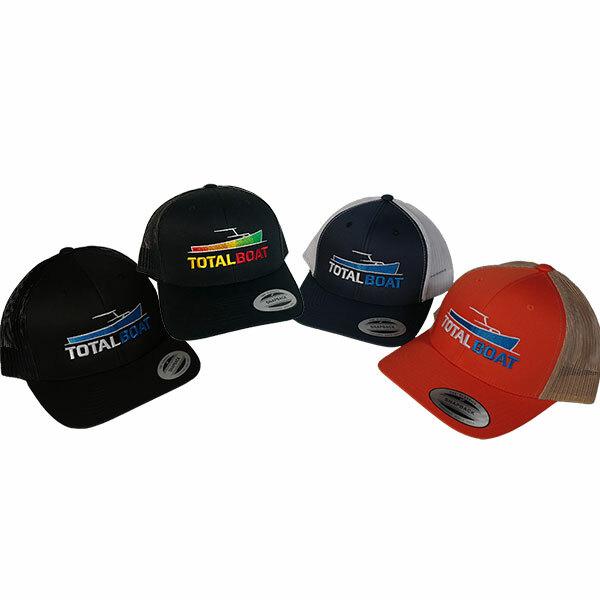 Colors: Black with black mesh back, Black with neon blue mesh back, Heather Gray with black mesh back, Orange with tan mesh back, Navy with white mesh back, and Rasta (red, yellow, & green on black) with black mesh back, and Cork with black mesh back.